San Jose, Calif., - May 28, 2014— Mindray Medical International Limited (NYSE: MR), a leading developer, manufacturer and marketer of medical devices worldwide, has awarded Altera Corporation (NASDAQ: ALTR) the 2013 Best Quality Award. SAN JOSE, Calif., May 27, 2014 /PRNewswire/ -- Altera Corporation (Nasdaq: ALTR) today announced that it will participate in the Bank of America Merrill Lynch Global Technology Conference in San Francisco, CA. Altera's presentation is scheduled for Wednesday, June 4th at 10am Pacific Time. 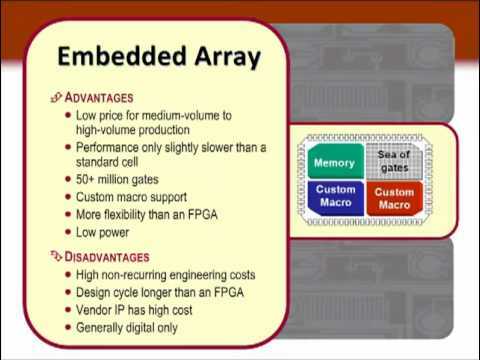 SAN JOSE, Calif., May 22, 2014 /PRNewswire/ -- Xilinx, Inc. (NASDAQ: XLNX), will highlight its All Programmable and Smarter Vision solutions at the Embedded Vision Summit West, May 29, 2014 in Santa Clara, CA. Xilinx technology experts will present and demonstrate Xilinx's capabilities and solutions portfolio for smarter embedded vision systems. San Jose, Calif., - May 15, 2014 – Altera Corporation (NASDAQ: ALTR) is demonstrating its military radar systems solutions with FPGA-based military radar reference designs at IEEE RadarCon 2014 Booth #9 in Cincinnati from May 19 to 23. With big data analytics, social media, and other new applications pushing east-west bandwidth demand, datacenters are deploying faster Ethernet and unlocking new capabilities. Network operators demand increasingly capable, low-cost radio infrastructure equipment with low operating power and high reliability. To meet this need, a new breed of highly integrated, high-performance, low-power, all-programmable devices is required. SAN JOSE, Calif., April 28, 2014 /PRNewswire/ -- Xilinx, Inc. (NASDAQ: XLNX) today announced immediate availability of the spring 2014 edition of its award-winning user magazine, Xcell Journal. Issue 87's cover story examines Xilinx's new Software Defined Specification Environment for Networking (SDNet). SAN JOSE, Calif., April 24, 2014 /PRNewswire/ -- Altera Corporation (NASDAQ: ALTR) today announced first quarter sales of $461.1 million, up 1 percent from the fourth quarter of 2013 and up 12 percent from the first quarter of 2013. SAN JOSE, Calif., April 23, 2014 /PRNewswire/ -- Xilinx, Inc. (Nasdaq: XLNX) today announced fiscal 2014 sales of $2.38 billion, up 10% from the prior fiscal year. Fiscal 2014 net income increased 29% to $630 million, or $2.19 per diluted share, versus fiscal 2013 net income of $488 million or $1.79 per diluted share.